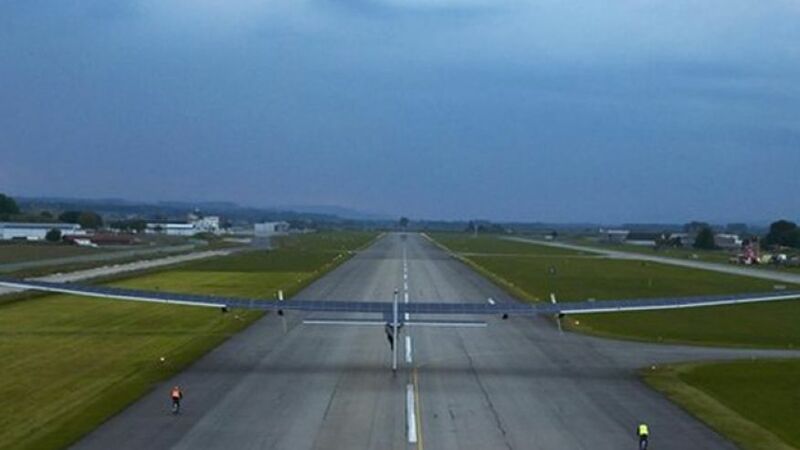 Solar-Powered Plane Ready To Circumnavigate The Globe! 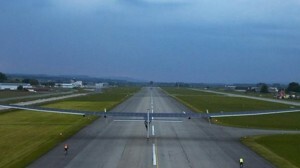 A solar-powered plane, called the Solar Impulse 2, recently completed its first test flight ahead of attempting to circumnavigate the globe in 2015. The plane reached 6,000 feet and successfully flew for 2 hours, conducting a series of maneuvers to make sure the handling of the aircraft is absolutely perfect. Incredibly, the Solar Impulse 2 has a larger wingspan than a Boeing 747, with the tops of the wings featuring 17,000 solar cells driving four brushless electric motors at speeds upwards of 90 miles per hour. These same solar cells are responsible for recharging the plane’s lithium batteries during the day for powering the plane through the night.